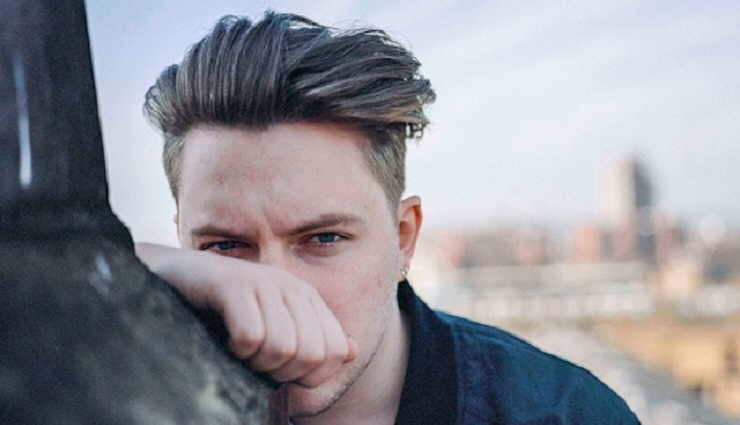 English teenager Callum Burrows, better known as Saint Raymond, rushed onto the music scene at the tender age of 18, and his indie pop anthems were immediately tipped for big things by the music press. He grew up in Nottingham, alongside the likes of Jake Bugg and Dog Is Dead — and inevitably drew comparisons to them both. Burrows first caught the attention of the major labels in early 2013 after his debut EP, Escapade, was released on songstress Gabrielle Aplin’s own Never Fade label, and entered the digital chart. This was the start of a busy year for the singer/songwriter as he went on to support Aplin on her European tour before signing to Asylum Records — home to Ed Sheeran — and joined American soft rockers HAIM for their U.K. dates. His live performances were supported by a band, following the trend set by the Stateside success of Bastille, who were led by singer/songwriter Dan Smith. Burrows also shares an affinity for ’80s-inspired lush harmonies with Bastille, while his off-kilter beats take influence from Vampire Weekend’s Afro-beat. Another EP appeared in early 2014 and gained radio support from BBC Radio 1’s Zane Lowe, who featured it as the Hottest Record in the World on his show.